I would like to share with you this port of SeriesFinale for Blackberry. Unlike the other versions, I was not involved in the development of this one. It was developed by Micke Prag, who also started the Meego/N9 port back in the day. I developed the first version of SeriesFinale in 2009 for the defunct Maemo system and released also a version for the N9/Meego in 2011 (there was also a version for GNOME but I never finished it…). It is very good to see that it continues its life even if I am not involved this time. I don’t own a BlackBerry so I am not able to try it but judging from this video, it definitely looks good so if you’re a BB user, check it out! Just like last year, here I am looking in retrospect to what happened this year but I have to be brief because Helena and I are spending the night with my parents. Last year I said 2012 would be a year of change but, depending on the perspective, it really wasn’t. In 2013, however, many things will change for sure but I will let you know about that soon. Meanwhile, here is a bit of what happened in my life during this year. The big trip this year was a very special one — Japan — which I won’t repeat how great it was. We also revisited London and I traveled to other places due to work (even though this year’s GUADEC was in the city I live in). Last year, I set up a reading challenge at Goodreads for 15 books; 5 more than in 2011. Sadly, I read only a third of those… 5 books in 2012. However, I need to say that in the list there is Crytonomicon, a book I took great pleasure in reading, but which has almost 1000 pages; besides that, the list does not include a few technical books I read. In 2012, my 4th year in Igalia, I was part of a new team — the Interactivity team. The most important part of my work was definitely the development of Skeltrack: the world’s first Open Source skeleton tracking library. Skeltrack, together with other libraries like GFreenect was the basis for many of the projects we developed throughout the year. 5 versions of Skeltrack were released since its release, it won an award and in last November it powered a completely Open Source interactive installation in Berlin. As for other projects, I released 3 versions of OCRFeeder and only 1 of SeriesFinale in 2012. To finish, this year I restyled my blog, with dedicated sections for the travels and presentations I do and the software I write. 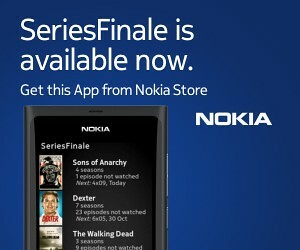 That’s right, a couple of weeks ago new versions of SeriesFinale were released. There was a long absence between these and the previous releases. The truth is that it has become more and more difficult for me to find the motivation (and time) to do work on an application for platforms I am not currently using. Still, I have had some emails from people showing their appreciation and Juan has also helped a lot (he is the reason there is also a new N900 release). If you’re following the development of SeriesFinale, I have recently moved the repository over to GitHub (like I did for most of my projects). GitHub is so much faster than Gitorious and has nice features such as an issue tracker. Before you say it, although GitHub is not Open Source software, we’re talking about a hosted solution for Git repositories from a very cool company and I had no intentions of hosting Gitorious on my own anyway. So what’s new in SeriesFinale? I need to differentiate between the platforms’ versions first. Fremantle (N900) is on version 0.6.10 and has less visible changes but the threads, languages and sorting functions were improved. Adding the the new Harmattan version to the Nokia Store was also a challenge (it kept being rejected due to tiny details) but it eventually went through.